Kassandra Cole has it all—a stable home with great parents, popularity and all the friends she could ever need. She is used to a lifestyle where everything comes easy to her, from good grades to being captain of the cheerleading squad. Her entire world is shaken to the core when a fatal accident takes her father, causing Kassandra to re-examine the course her life was on. 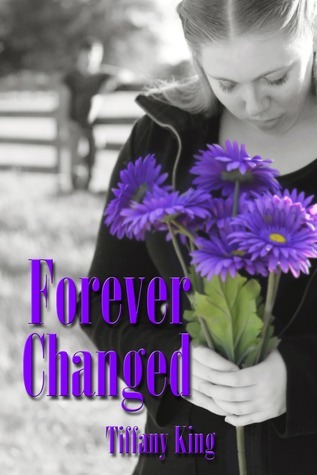 The actions of one individual forever changes her life, leaving her to pick up the pieces of her broken family. Kassandra begins to question everything she once cherished and the people she disappointed along the way. Maddon Johnson’s life is as different from Kassandra’s as night and day. Abandoned by his mother at a young age, he is left to deal with his abusive, alcoholic father on his own. He has one goal: lay low and get the heck out of dodge as soon as he is legally old enough. Everything changes when his father’s tragic actions send Maddon crashing into Kassandra’s world. Suddenly, getting away is the last thing he wants as he discovers it is possible to believe in love after all. Wow... will I ever stop crying reading books? I suppose not. And will I ever stop getting all hot and bothered when reading Tiffany King's books? Guess not. I really liked this book, even though not as much as Unlikely Allies. Maddon was really hot and I could feel the steam between him and Kass. I totally understand how her hormones got crazed because of him, whenever he was close and even more when he was touching her. I didn't like some of his behaviours, but that aside I found myself falling for him as much as Kass was. As for Kass, I liked her fine, though I didn't love her. Sometimes she got on my nerves, but still, I can't deny she's got balls and she's a tough girl. Colton is a good guy, very nice and he really cares about Kass. I liked him. Megan was super sweet and cute. Most of the time I wanted to just punch Kass' mom in the face and make her face reality. Lacey was hateful and so mean, I wanted to strangle her. Miranda was a witch (to not say the B-word). Drake was nice enough. And Carrie seemed nice too. All in all, a very good book. I'm an italian girl. I love to read, listen to music, 30 Seconds to Mars, and all things chocolate. Yup, I'm a chocolate addict. Please, follow my blog! A Secret Society, A New Book, Poetry! Oh My! My Original Romance, TO DRY THE TEARS OF A CLOWN is available now!